Today, I am thinking about how you can’t see the finish line, but God can. Previously, I talked about how the Israelites came under attack by the Midianites and how God chose Gideon to save them. When the angel of the Lord appeared before Gideon and told him that God had chosen him for the assignment though, he was shocked and doubtful. Gideon immediately began to question everything. He asked the angel how he could be chosen for a task when his clan was the weakest in the entire tribe, and he himself was the least among his family members. The excuses poured out of Gideon. This same thing can happen to us. When we can’t see the finish line of a task, we avoid taking on that task altogether. In other words, it seems insurmountable, so to avoid a false start, we just don’t start at all. We know from Gideon’s story that he ended up facing 100,000 Midianites and conquered them all. Best of all, he did not do it alone. He did it in God’s strength. In fact, Judges 6:16, God told Gideon that he would destroy the Midianites as if he were fighting against one man. What is on your agenda in this new year that seems insurmountable? Know that you’re not doing it in your strength alone, you’re doing it in God’s strength too. 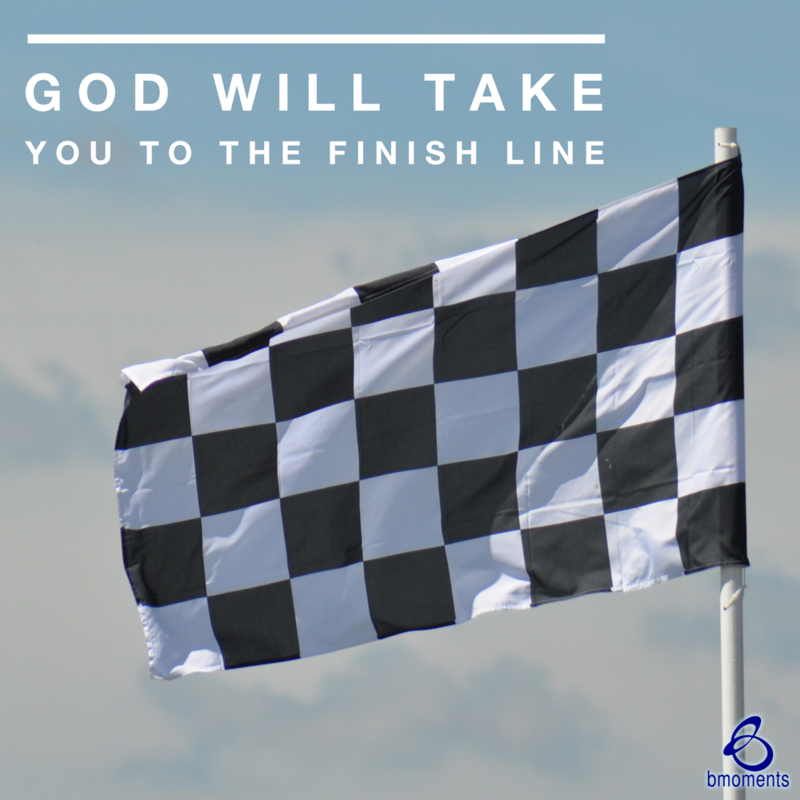 He will get you to your finish line. So today, keep the faith as you move toward the finish line.